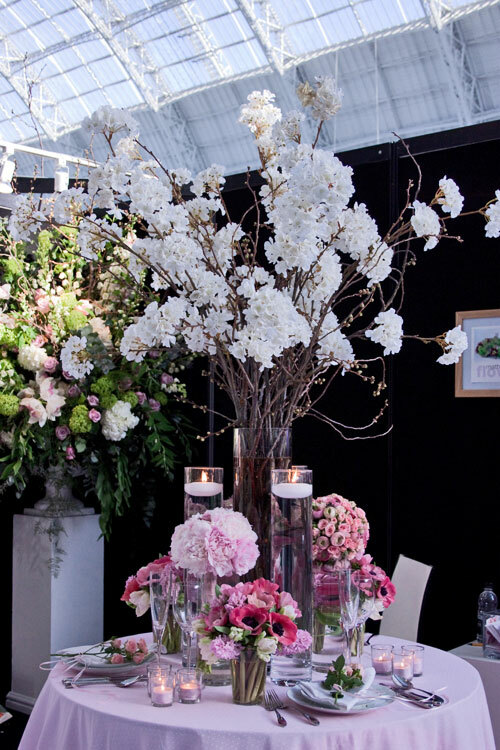 Last month, six of the Flower Market florists attended The National Wedding Show (http://www.nationalweddingshow.co.uk/) at Olympia in London. 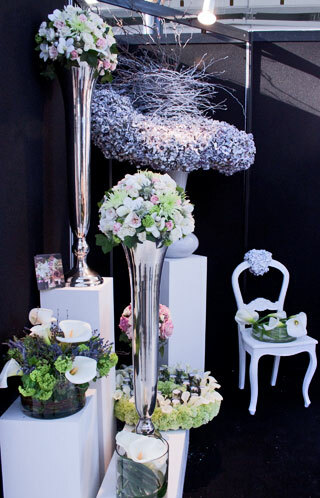 And I’m delighted to be writing two guest blog posts about their beautiful stands in the Designer Flower Zone. Part 1 features three of the florists - Mathew Dickinson, LK Lily and Jens Jakobsen. 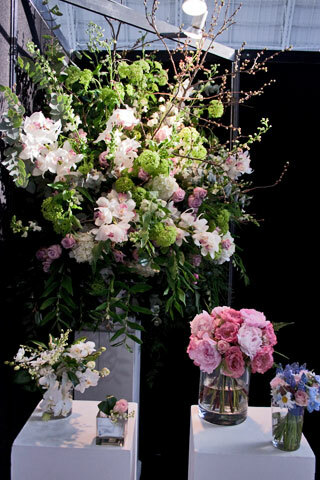 On his main display table were two of my all-time favourite flowers – peonies and ranunculus – beautifully arranged in pale pink tones. 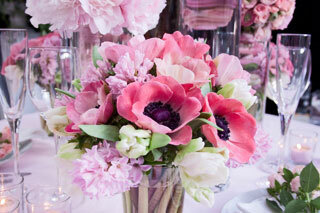 There was also a stunning hand-tied posy of dusky pink anemones, baby pink hyacinths together with white parrot tulips. And the designs were complemented by white floating candles and tealights. Continuing the pink colour theme was an amazing pedestal arrangement, enhanced by the zingy lime green of guelder rose. It was really lovely to meet Lindsay and see her beautiful wedding day designs, including this lovely table arrangement of pale pink gerberas and roses, combined with eucalyptus and ruscus foliage. 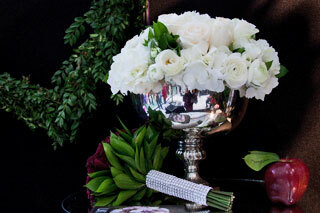 I adored the classic white floral arrangement she’d created with roses, hydrangeas and ranunculus. 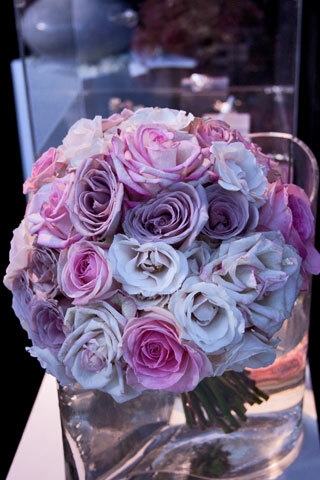 And the full-headed pink roses she’d used in her shower bouquet were absolutely amazing! It was a delight to meet Jens, who’s originally from Denmark. White, green, lilac and pink were the predominant colours used in his fabulous designs. 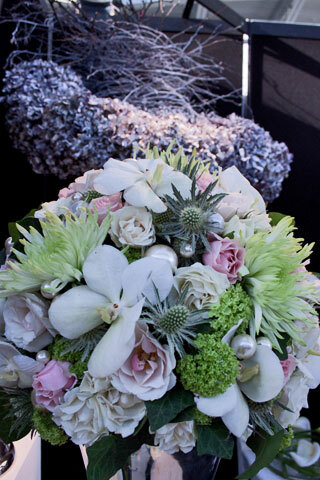 Exquisite is how I’d describe this wonderful bridal bouquet. 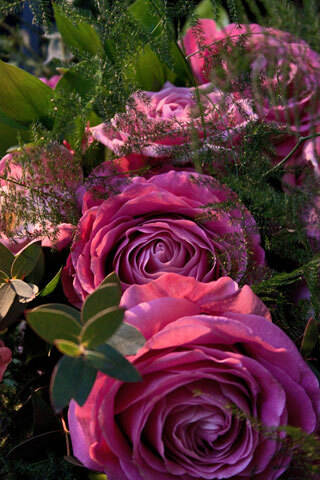 I love his choice of roses in such complementary shades. 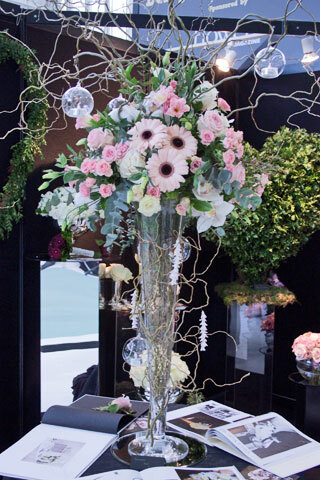 The National Wedding Show is such a perfect opportunity for Mathew, Lindsay and Jens to meet brides-to-be, who I’m sure were wowed by the gorgeous floral designs on display…all of which had been created using flowers from the New Covent Garden Flower Market. Whilst I was shooting the images, there was a continuous stream of visitors chatting to the florists, asking questions, discussing ideas and gaining lots of inspiration for their special day. Please do click on the thumbnail images on the right hand side to see more of the stunning floral arrangements on display.